I am in England today, and probably some of you will get envious when I tell you that we have nice sunshine today, and the hint of spring is in the air. And there is my interview partner for today! Hi! Thank you for meeting me for this interview. Please, give our readers your basic data: Who are you, what is your shop called, and where else in the internet can we meet you? My name is Liz, my shop is called LizzieMade. I have a blog that can be found at lizziemade.blogspot.com - it's a mixture of personal stuff and posts about my work. I also have a Facebook Page, which is (rather confusingly) called LizzieMade.Etsy.Com. I plan to make more use of this in the near future. How and where do you work and what do you make? I am based in Bedfordshire, UK, and I work by myself at home. Since we extended the upstairs of our house last year, I have been lucky enough to have a workroom of my own - previously it was a corner of the laundry room. I am still setting it up, but now have a crafting desk and an adjustable-height work table for book binding. It certainly beats working on the floor or at the dining room table. So far, I have made a varied assortment of books but I have concentrated on smaller books. 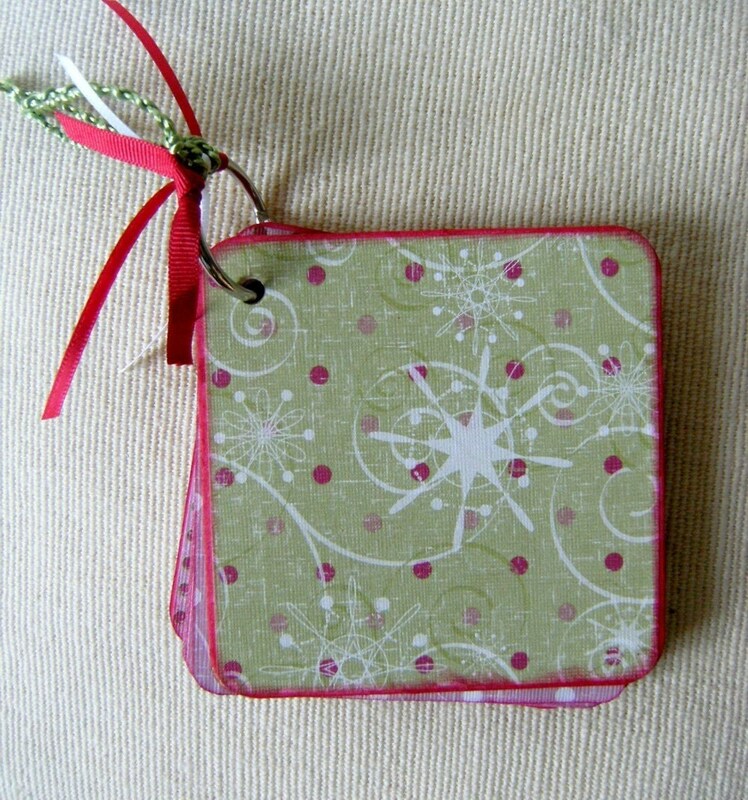 Recently I've made a number of small albums for photographs or scrapbooking. I really love paint and inks, as well as paper, and went away for a long weekend in January, where I did a short course on traditional bookbinding and a two-day printmaking course. I would love to incorporated some printmaking into my book crafting. I'd love to get hold of a small press, but it looks as if that will have to be a future ambition. You are not only selling books, right? I saw that you have craft supplies in your shop, and custom scrapbook pages. The custom scrapbook pages and albums are an offer to create a special scrapbook layout or small album for the customer, using their own photographs and mementoes. 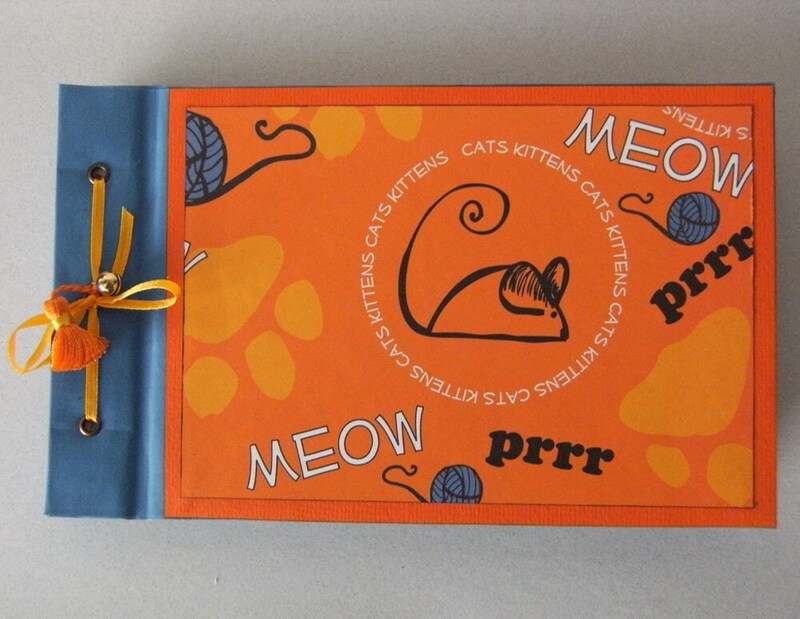 Some people like the idea of a modern-style Scrapbook, but don't have the time, or the skills to create their own. I offer to take their items and create something special for them, to preserve their memories of a special event or memory. I have just finished a photograph album, in a scrapbook style, for some new parents. A lady who saw this on my blog, has contacted me to ask if I could make a similar album for her. We're at the beginning stages of this, but it looks as if it could be fun for us both. 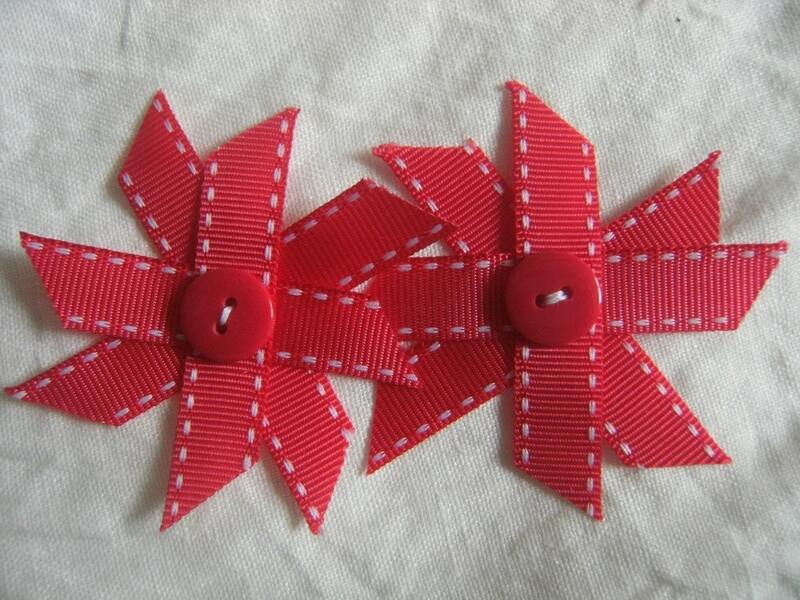 The other items in my shop are flowers, made from ribbons and buttons, also some soft toys, created out of socks. I made a number of these around Christmas time, which proved very popular, so I am currently working on a Spring and Easter themed set of Sock Pets - rabbits, kittens, lambs etc. There are currently two mini sock bunnies in the shop, which will soon be joined by some new friends! I have been crafting all my life. I've done many, many different things, but I always end up doing things with paints, inks, glue and paper, or with fabrics and stitchery. I have been making and selling greetings cards for several years and began to enjoy scrapbooking a couple of years ago. I have recently had a couple of scrapbook page commissions accepted for publication, which was exciting. 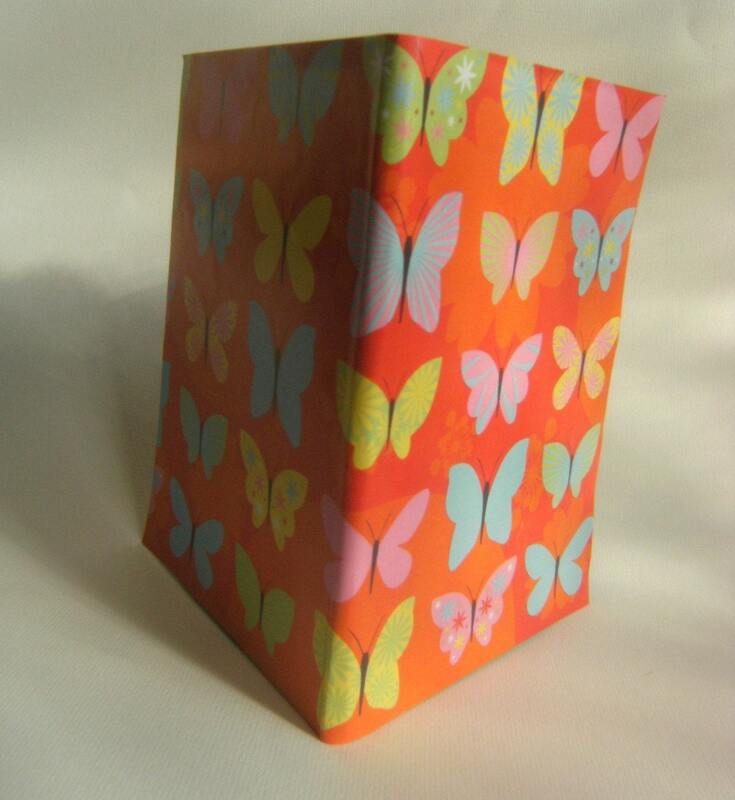 I started making books in early 2009 when, following a bad fall, I was recovering from a back injury. 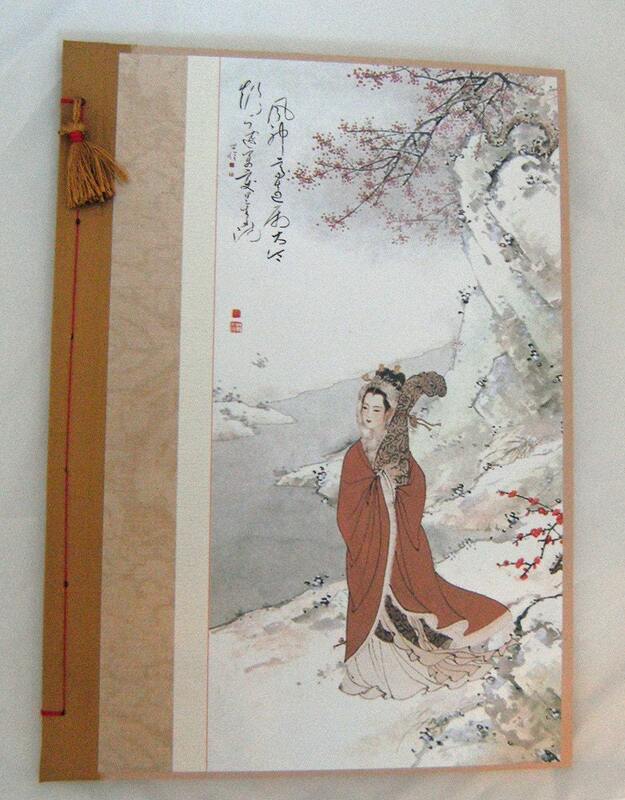 I couldn't do very much, but discovered that book making was something I could achieve. It needed less close, fiddly work than other papercrafts or needlecrafts and suited my preference for designing my own items and making each item unique. I also got to work with lots of lovely paper! Do you have a favorite piece of work, that you would like to show to us? I made a commission piece, for a lady in the UK. She had already bought a covered notebook, then contacted me via Etsy to ask if I would make her a diary/planner. She was a great customer because she knew what she did and didn't like, had some good ideas for colour and style, but was happy for me to come up with my own design and use my own initiative. We had a few useful discussions and I sent her some photos of my initial drawings, with notes. Then I got on with it. She wanted a diary /planner, with a notebook pocket, pockets for stamps, receipts and a small photograph of her daughter. It needed to be smart enough to take to work meetings and compact enough to fit in her bag. She had the idea of a dark blue cover, with silver stars. I designed the diary and planner, arranging the layout according to her needs, but arranging the colour choices and print layout myself. I looked everywhere to find some suitable cover paper, but couldn't source any. So I decided to create my own. I bought some lovely dark blue art paper, which I used to cover the diary, notebook and case, along with some great silver lame fabric, for lining the slip-in pockets for the diary, notebook, stamps etc. I also covered the front board of the diary with this fabric, then covered the diary with the dark blue paper, cutting a large star from the front cover, to allow the silver to show through. I gave the diary a semi-soft cover, but made a wrap-around hard case, to hold the diary and notebook, with the various pockets and a photo window inside. I gave it a magnetic fastening, so there were no ties to get in the way. 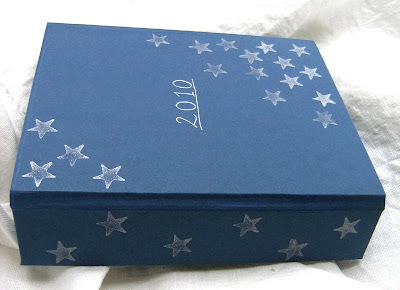 The outside was fairly restrained, just dark blue, with a sprinkle of small stamped silver stars, but inside I went a bit more mad and embellished the "Star Spangled Planner" with lots of stars. I posted it in early December, in some trepidation, since this was the first project of this kind that I had ever done and she had paid me already. She loves it and I hear it's holding up well to daily use! Looking at your shop I found the category "Gillyham Originals". Who is your co-worker and are you planning to continue the joint work? My co-worker is actually my son. 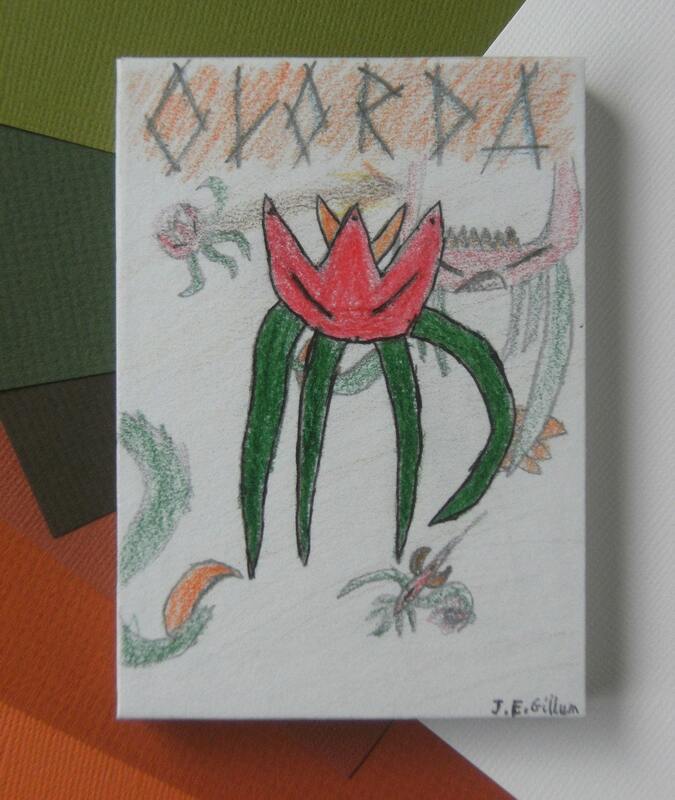 He produced an illustration, based on his story-writing, which I turned into a covered notebook. He would like to produce some more artwork, which may appear in the shop, if it seems that it may be saleable. Obviously, school work comes first, which has rather thwarted his artistic ambitions recently, but he is working on a couple of things, so there could be more "Gillyham Originals" appearing soon. That sounds like fun! We'll keep an outlook for the young artist's work. Thanks again for taking your time for this interview! If you want to see more of Lizzies creations, click here (or one of the photos) to get to her shop. Thank you, Hilke, for featuring me in your interview this time. Nice to get to know more about you here Lizzie!